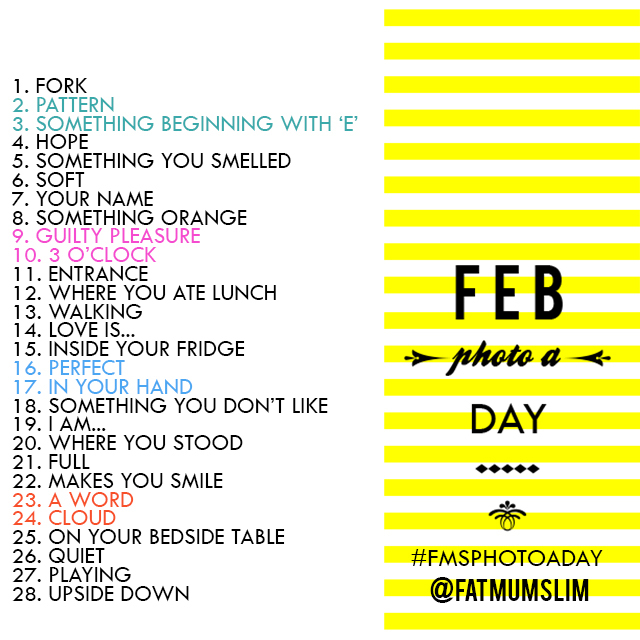 Here is the February list for the Photo a Day by Chantelle over at Fat Man Slim, once again she has shared a great list with us. If you want to follow along you can share on Twitter, Instagram, Facebook and Tumblr. I share my photos on Stremzoo, here is the link to my stream. Enjoy and happy snapping.